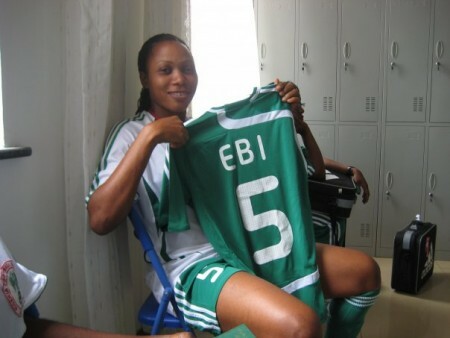 Injured Super Falcons star, Onome Ebi, is positive she would soon be back in action to continue her football career. The Belarusian-based defender suffered a broken arm during the last African Women Cup of Nations tournament in Cameroon, and has since undergone operation. According to Premiumtimes report, Ebi said she was hoping to be back in action in two months as predicted by the surgeons who performed the operation on her. “Yes, I am eager to return to action, the doctors said in two months I should be back and I can see that I am healing very fast so all things been equal; I should be back soon,” Ebi stated.